Lynn Snyder-Mackler, a graduate of The Johns Hopkins University and The University of Pennsylvania, earned her doctoral degree in applied anatomy and physiology from Boston University and joined the UD faculty in 1989. A prolific author, she has written more than 150 research articles, 30 book chapters and monographs, and textbooks on electrotherapy and sports physical therapy. She serves on the editorial boards of Orthopedics Today, Journal of Sports Rehabilitation, and Physical Therapy in Sport and has given more than 600 presentations on her research in the U.S. and 25 foreign countries. Snyder-Mackler is a principal investigator or co-investigator on 5 NIH grants including her work with patients with ACL injury that was recognized with a prestigious MERIT (Method to Extend Research in Time) Award from the National Institutes of Health (NIH). Her study results also have been reported by The New York Times, USA Today, United Press International, and other major media. 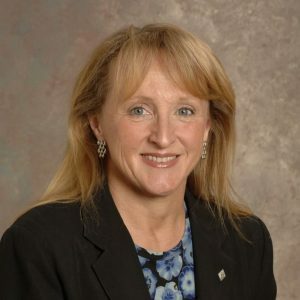 She is the recipient of numerous awards from the American Physical Therapy Association, which named her a Catherine Worthingham Fellow, the highest honor in the profession, in 2003. In 2009, she won the Francis Alison Faculty Award, the University's highest faculty honor. She is a Board Certified Sports Physical Therapist. Snyder-Mackler is academic director of the University of Delaware Physical Therapy Clinic and of the Sports Physical Therapy Residency at UD.